Am I the only person who occasionally buys canned food because I like the design of the packaging? 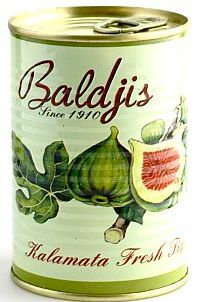 I found these Baldjis figs in Waitrose recently and thought they just looked lovely, trouble is, I don’t really like figs. I knew I’d be able to bake them into something acceptable and so came up with the idea to make a tart like a pecan pie, except using figs and my favoured nut, the walnut. Walnuts are highly underrated in today’s kitchen and I sing their praises when I can. Walnuts shouldn’t taste bitter. It’s only because they’ve turned rancid (as most nuts will do with enough time due to the oils inside) that they get that bitter flavour. Roasted, they take on a savoury quality that goes superbly with chocolate, as with my walnut chocolate truffles from last Christmas, and they make the perfect counterpoint to anything overly sweet. Figs and walnuts go nicely. Enveloped in a caramel custard and pastry crust, they go even better. If you don’t have a pretty tin of figs in your cupboard, then just dig out whatever nuts you’ve got lying around and that big tin of golden syrup that’s been hiding in the back of the cupboard. Pecans don’t have to have all the fun when it comes to pudding. In a food processor, whiz the butter and flour until you get crumb-sized bits, then add a few splashes of cold water and pulse until the mixture just comes together. In a lined pie-dish, press the dough in, making sure to go up the sides enough to hold the filling. Pop it in the freezer for ten minutes, or the fridge for 20 minutes. Blind bake for ten minutes, then remove the paper/beads and pop in the oven again until the base is golden. In a bowl, whisk the eggs, butter, sugar, salt and golden syrup. 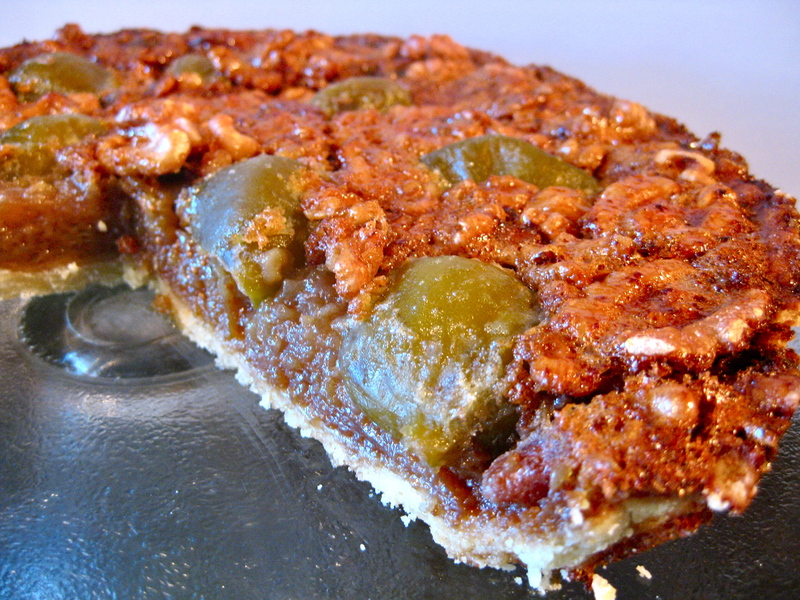 Place the halved figs and walnuts on the pastry crust and then pour over filling. Turn the oven down to 140C and bake for about an hour or until the filling is set. You can tell by giving it a little shove, and if the middle is still wobbly, keep in there until it’s more of a solid jiggle. Best eaten the next day, served with creme fraiche or cream. I bought the exact same can for the exact same reason! Thanks so much for this idea, but husband loves figs, but we’ve never used tinned before. Sorry that should be “my” husband..